With growing attacks from hackers and digital policing from government agencies, privacy and confidentiality have become major concerns nowadays. Whether it is to enjoy some of the shows and movies blocked in your region or hide your footprints while browsing the internet, VPN (or a Virtual Private Network) is the preferred solution that many techies are banking upon. 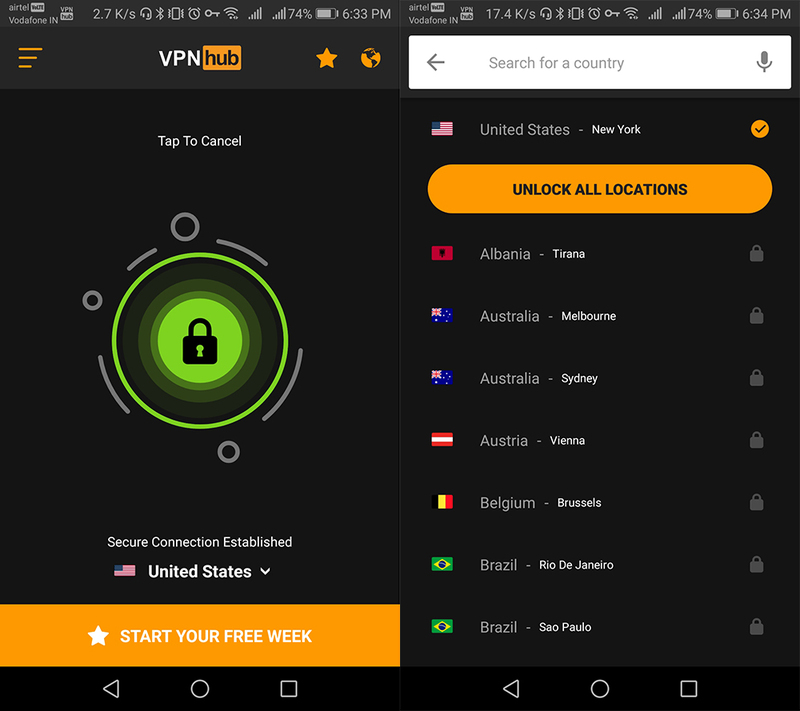 While the highest rated VPN services have to be paid for before you can use them, there is a score of VPN services which are either completely free to use, or offer the basic VPN features for free with an option to pay if you would like to utilize better features, get higher speeds, and other additional benefits. So, if you’re looking for some great VPN services to check out, here are the 10 best free VPN services you can use. Note: Some of the VPN services mentioned below work with services like Netflix and Spotify as well. Spotify and Netflix don’t like VPNs, and while we’ve not heard of anyone getting banned from using VPNs on the service, use them at your own risk. ProtonVPN is served by the same company that offers the famous Proton Mail. While there’s a bunch of paid plans which ProtonVPN has to offer, you can browse with the free version without any limitations or capping on the amount of data. You will, however, be limited to a single device per email ID at a time and will be able to access only three locations of the total 30 servers ProtonVPN offers to its paid users. These three locations free to access are Japan, the Netherlands, and the U.S. While ProtonVPN uses some of the Cold War era underground bunkers for its servers, the country is neutral when it comes to privacy and does not absolutely support or oppose interception of users’ private data. Further, it is useful if you just want to watch some exclusive content or access a store that might not be available in your country. I really like the simple interface of the desktop app which can be used without any prior knowledge about the working of VPNs. 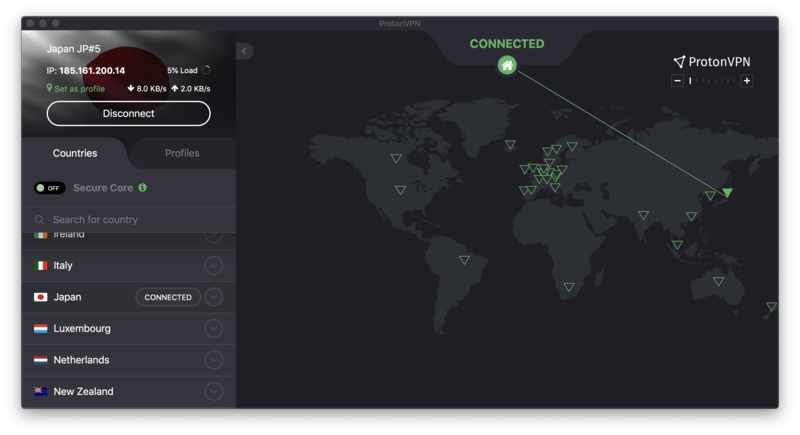 The ProtonVPN client is available for Mac, Windows, Android, iOS, as well as a command line interface which you can use with Linux, making it a versatile platform among the best free VPN services we’ve compiled in this list. ProtonVPN also comes with some pretty impressive additional features that make it one of the best options to go with. The company uses strong, 256-bit AES encryption to ensure a secure connection. Moreover, the company is based out of Switzerland, and is protected by some of the strongest privacy laws in the world so they can’t be forced to spy on your browsing habits. There’s also DNS Leak Prevention features which ensures that your internet browsing is protected at the DNS level; the company doesn’t use any third party DNS providers. ProtonVPN also supports one of the most ‘in-demand’ features in a VPN service — a Kill Switch. This basically means that with Proton VPN, if you accidentally lose connection to your VPN server, the service will immediately block all your network connections to prevent your real IP address from being accidentally leaked because of the disconnection. If you choose to upgrade to a paid plan in future, you can also make use of the Secure Core feature which routes your network traffic through multiple servers within the ProtonVPN network to ensure that even if an attacker manages to monitor your traffic at the exit server, they won’t be able to find your true IP address, or match any browsing activity to your IP address. Plus, there’s support for the Tor protocol for added anonymity if that’s what you want. In case your dependency on VPN is just limited to occasional browsing, TunnelBear can be a useful option. Just like ProtonVPN, TunnelBear operates on a freemium model but the way different plans have been segmented is different. 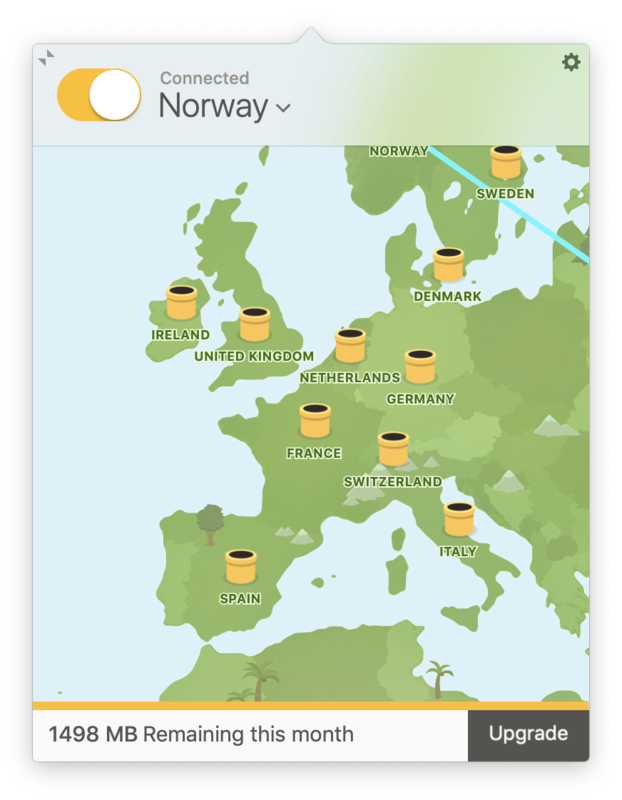 Instead of restricting users by location, TunnelBear limits you by available data and free users can only use 500MB through the VPN. 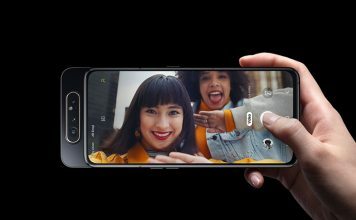 However, if you tweet to the company, you can get an additional gigabyte added to your monthly quota so that you get 1.5GB per month, in practice. In the free version, you can choose from 22 different locations. 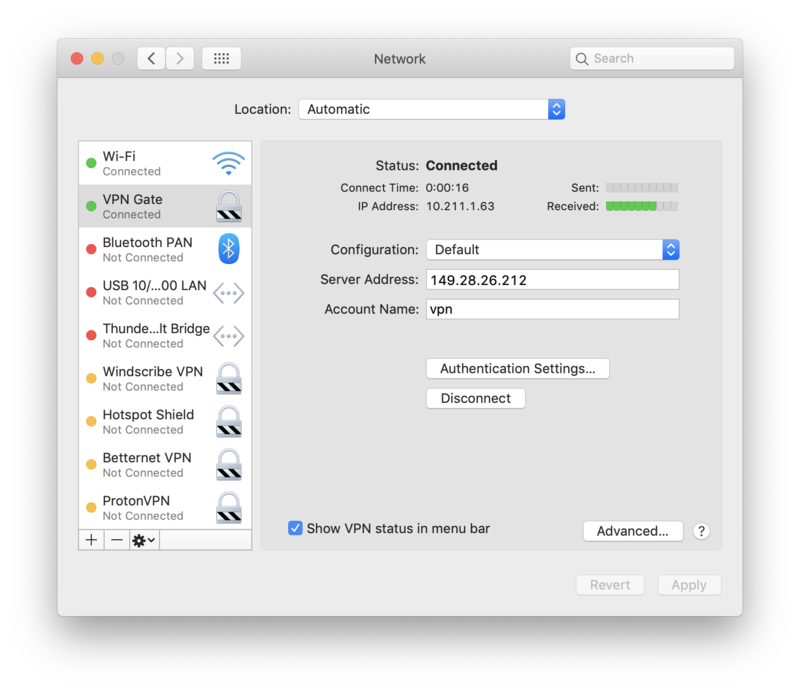 Another characteristic which makes TunnelBear one of the best free VPN services is its highly intuitive and non-intrusive interface – for instance, it sits on the menu bar on my Mac instead of opening in a separate window, which is delightful. 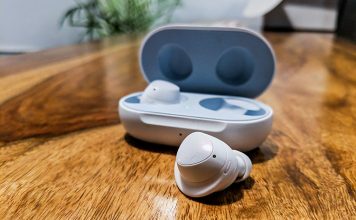 It comes with 256-bit encryption to protect your data and promises to not log any of your browsing histories. Lastly, besides common platforms, the service is also available in form of extensions for major browsers. Apart from those basic features, Tunnelbear also offers a kill switch. It’s called ‘Vigilant Mode’ and it automatically blocks all unsecured traffic in case you lose your connection to the VPN server. Plus, once the connection is re-established and your network is secured, Tunnelbear will automatically unblock all your traffic. Just like ProtonVPN, Tunnelbear doesn’t keep any logs of your browsing activity. If you’re still looking for more features, Tunnelbear has a feature called ‘GhostBear’ as well which basically tries to hide the fact that you’re using a VPN from ISPs and governments. This can come in handy if your ISP throttles VPN users, or if you’re in a country where using VPN is illegal. However, bear (pun intended) in mind that Tunnelbear recommends using GhostBear only if its absolutely necessary since it usually results in slower speeds. 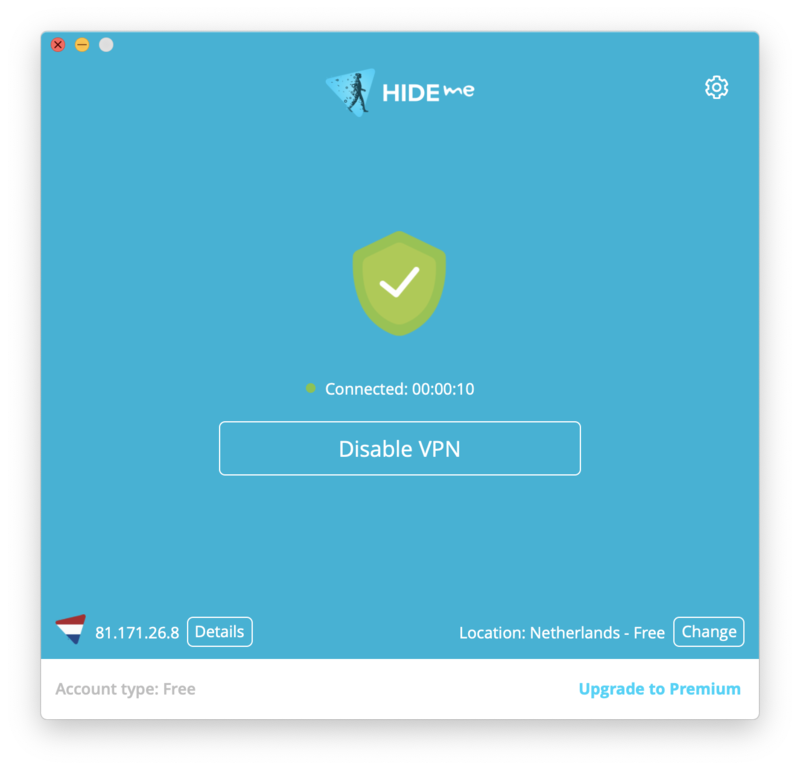 Hide.me works by hiding your IP and encrypting your data with protocols like IKEv2 and OpenVPN. The service operates on a freemium model too and your monthly allocation of data is limited to 2GB – sadly with no extension periods. However, you can invite your friends and get rewarded every time someone uses your referral link to get a paid subscription to Hide.me. Since it operates from Malaysia, Hide.me has no legal obligation to store users data and share it with the government, unlike VPNs working out of certain other countries. Further, the company has a strict zero-logging policy. Besides using the VPN, you can also add custom DNS settings to avoid your IP being cached into regional servers and to slightly improve the speed of your network connection. In the free version of Hide.me, you can use four servers based in four different locations i.e. Canada, the Netherlands, Singapore, and the USA. 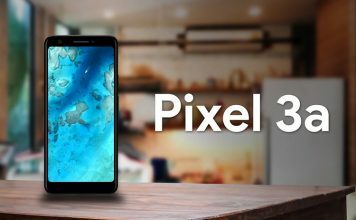 Lastly, it supports a multitude of different desktop and mobile operating systems – even BlackBerry – as well as router and TV/home theater interfaces. Hide.me also prides itself on its no-ads policy, even on its free version. Along with that, there’s also a Split Tunneling feature in the VPN service, which lets you enable VPN for some apps and services, and use other apps without VPN. This can come in handy if you’re using services like Netflix which block VPNs or if you need low pings for your online games, while securing the rest of your browsing with VPN. It’s a pretty cool feature. Windscribe is among the most affordable VPNs, and for this reason, one of the most preferred VPNs out there. It is also one of the most generous VPN providers, offering up to 10GB data to free users, which can be further increased if you tweet about the service. That should drive more people to use VPN extensively and get familiar with the protocol. The company strictly follows the principle of not logging user data and supports common encryption protocols IKEv2 based on AES-256. 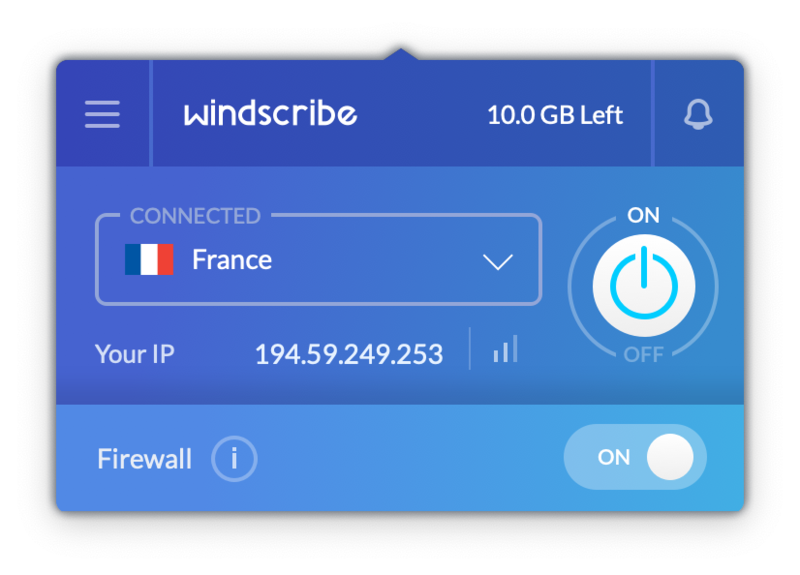 Windscibe’s desktop applications come built-in with a firewall application which prevents any leakage of data out of the data tunnel secured by the VPN and each of the worldwide servers is configured as a DNS server, resulting in absolute IP-related privacy. Out of the 45 locations, one can use up to 13 servers with the free account. You can, in fact, stream Netflix content from other countries but it is only supported on certain servers, so you might have to struggle with the customer support, which is mainly automated and run by bots. Besides the very-easy-to-use UI, Windscribe also has among the widest support for major desktop and mobile operating systems as well as for popular TV sticks and Wi-Fi routers. You also get extensions for popular web browsers which will ensure complete stealth throughout your web journey. Windscribe also comes with some impressive features that can help you remain anonymous on the internet. There’s a Double Hop feature that lets you route your internet traffic through any two servers on the Windscribe VPN network for additional anonymity. Along with that, there’s a feature called ‘Split Personality’ that you can enable to randomly change the user agent of your browser to reduce chances of fingerprinting. HotspotShield is another freemium VPN service which classifies as one of the best free VPN services due to its anti-censorship stance. The VPN service was popularized during a series of social protests such as the Arab Spring and the military coup in Turkey in 2016. Under the free plan, users get 750MB of data allowance per day but there’s no way to check the daily available data. Moreover, browsing is limited to the USA. This might irk some privacy enthusiasts as laws in the country compel companies to share their data with the national security agencies such as NSA. But to make up for this shortcoming, HotspotShield can be used on up to five devices simultaneously and even the free users enjoy the military-grade encryption over their data usage. HotspotShield should serve you well if you’re looking to use it for some casual browsing or voice your opinions against any country or regime that the USA does not have good diplomatic relations with. 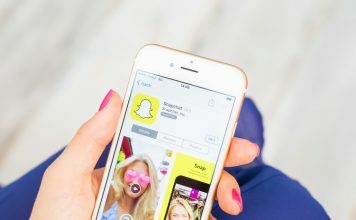 Those concerned about their privacy might want to stay away as HotspotShield has been funded by corporates like Goldmann Sachs, and there are concerns about user data being used for advertising – although there is no noted instance so far. The service is available on popular operating systems and has an extension for Chrome. 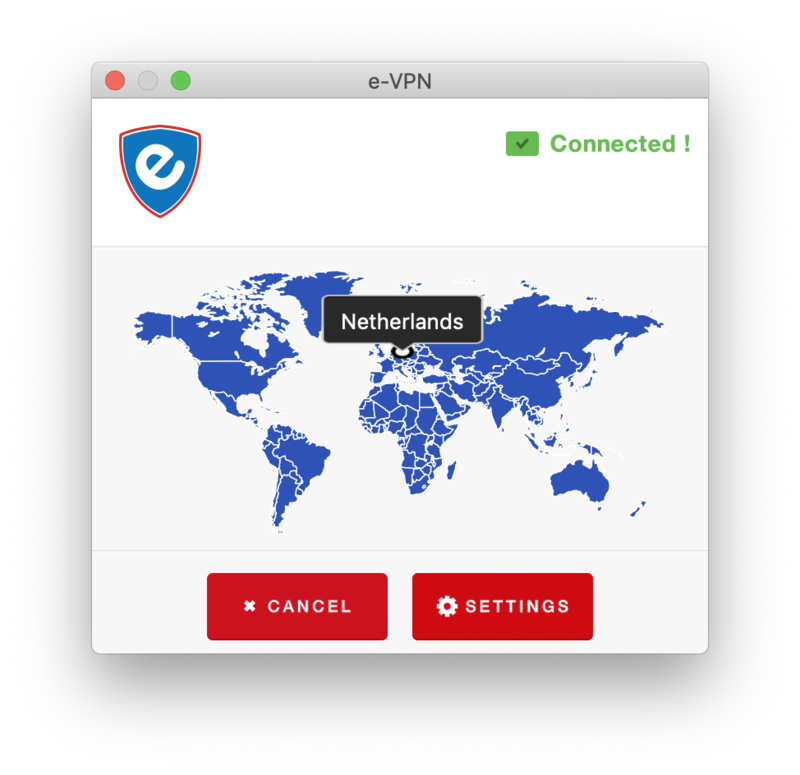 “Browse the internet securely, anonymously, and unrestricted” is e-VPN’s tagline and all of these attributes stay true to both – its free and paid versions. 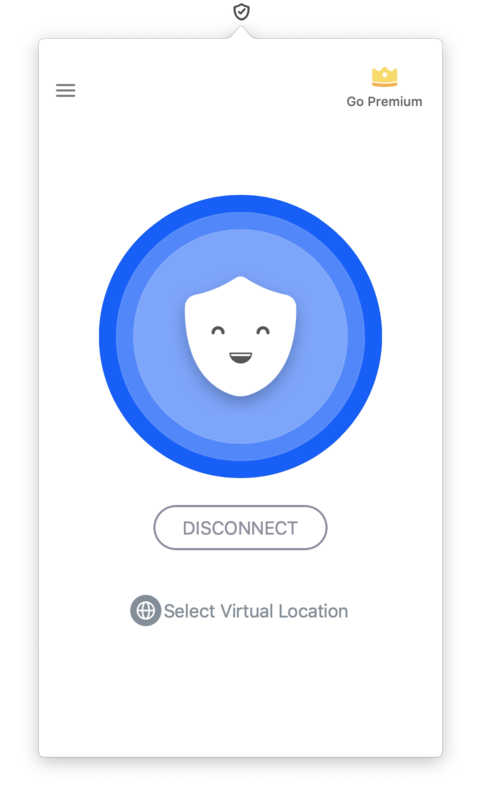 Foremost, e-VPN offers unlimited browsing to free users and even has a smart feature called “Stealth Mode” to bypass any blockages made to prevent VPN services. The service is claimed to unblock almost all geo-restricted publications, YouTube videos, or content on services like Netflix. Besides hiding your online activity, e-VPN also blocks seemingly harmful websites or downloads. While there is no limitation on the quantity of data processed through the free version of e-VPN, the download and upload speeds have been limited to 5Mbps and 1Mbps respectively. Further, free users can only choose among the Netherlands, the US, and the UK as their preferred faux locations, which means privacy might be avante-garde. Besides desktop and mobile operating systems, e-VPN is available on GLi’s VPN Router and Amazon Fire Stick TV. Betternet has made its way into our list of the best free VPN services because of its simplistic and elementary approach in terms of both – design and usability. For instance, you don’t even need to sign up with your email ID in order to start using the VPN service. Betternet’s interface only has a simple on/off toggle and an option to choose from among the available destination servers. But as part of the free service, you only get nine different server locations – all stationed within the US, and you can’t choose from among the available server options. There are no data limits here, and this is a decent service to choose for casual browsing, or just unlocking a random website that’s not available in your country. However, Betternet is definitely not a service we’d recommend if you’re looking for something that’s very secure and encrypted. The app is developed by AnchorFree – the same developer as HotspotShield, and the development of two different apps is to cater to users with different degrees of technical know-how. Betternet is clearly meant for users who want to use VPN services without caring too much about the details of how they work. VPNHub is a VPN service designed by the largest provider of adult content – MindGeek, which owns some of the most prominent adult websites in the world. While VPNHub originated with the idea of allowing access to adult content in regions where it is restricted by the governing regimes – like in the UK and India, it can also be used for general unrestricted browsing. VPNHub can be used to view age-restricted content on platforms like Netflix, and it supports encryption over the tunneling protocol. The service works perfectly while using torrents but you might have trouble using it if you’re located in countries which have strict censorship laws, including North Korea, Burma, Iran, Saudi Arabia, China, Syria, Egypt etc. Using the free version, you can only connect to the servers in the USA. Further, there have been instances of VPNHub partner IPVanish sharing browsing logs with FBI due to regional restrictions. While the mobile apps are free to use, you’ll require a premium account to access the VPN service on your desktop, and you can start with a 7-day free trial. 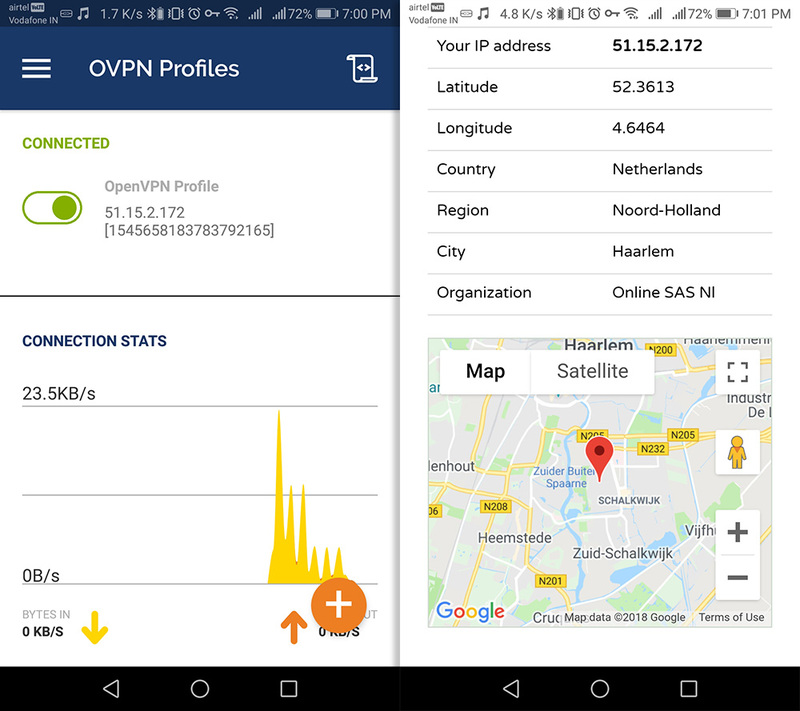 SigaVPN is a VPN service which relies on the OpenVPN protocol and works without a desktop or mobile client. Instead, you will have to configure the servers manually, which can be accomplished easily using the instruction videos available on the official website. While some of the servers are available for free, some others can be unlocked through donations starting at $2. Currently, the servers available for free are located in the Netherlands, Latvia, Sweden, and Romania. Besides a strict no-logging policy, the service allows P2P, and being built upon the OpenVPN protocol, it supports a variety of operating systems and platforms including routers and UNIX-based platforms. SigaVPN is not aimed at users without technical know-how of what a VPN is, and how it works, even though such users can still use it. It’s aimed more at people who want a custom set-up VPN service, which also brings along some necessary features such as zero-logging, P2P sharing, and more. If you’re somewhat of an open source enthusiast, you’ll be delighted to know that VPN Gate is an open source VPN protocol developed by the University of Tsukuba, Japan and is run by volunteers. You can either use OpenVPN, the same protocol as in the case above, or L2TP/IPsec protocol with VPN Gate. The latter is notably better and faster. You can use the VPN service for basic bypassing. While from the website, it does appear to be a little distressed due to limited attention towards aesthetics, the service gets users based in almost 225 countries which means the community is pretty active but you might have to spend some time finding active servers. To set up VPN Gate, you will have to go through the process manually and this might not be acceptable or preferred by many users. Besides being community driven, the VPN service offers unlimited data usage. VPN Gate is an education project based out of Japan. This has both pros and cons. On the one hand, VPN Gate will never be a paid product since Japanese universities don’t allow ‘for-profit’ products. It’s also a con, however, since there’s no guarantee of how long the project will work for. That said, the creators do claim that the service will run till at least 2021. If you’re among the users who are comfortable with tinkering with their systems, go ahead with trying out VPN Gate. It might even prove to be a great exercise in setting up VPN servers and systems. If you’re looking for a VPN service that offers almost everything you might want, and you’re willing to pay for it, or at least check it out, Private Internet Access (PIA) offers one of the widest networks with more than 3,200+ servers located in around 30 different countries. The company offers high-speed access and a variety of tunneling and encryption protocols. PIA also offers enterprise solutions where their tunneling service can be scaled up on demand for large organizations. PIA also has a strict zero-logging policy and comes with support for macOS, Windows, Linux, iOS, and Android. Additionally, there’s an inbuilt ad blocker as well as protection against tracking. While PIA does not qualify to be one of the best free VPN services – because it’s not free, it is pretty economical at starting at $2.59 per month. You also get one additional month free if you subscribe for the service for a year and three extra months free with the two-year plan. VPN services ensure that you can access the internet just as it was originally intended to be – unrestricted and without any scrutiny from the authorities. In this article, we’ve tried to include what we think are the best free VPN services available to users. Beware, the free versions of these popular VPN services might come with throttling in terms of download and upload speeds, although that is admissible in exchange for the privacy that the service ensures. However, we recommend that you use paid VPN services if you desire greater security and better transfer speeds and you can start by testing out some of the freemium services listed above. So, which VPN services of the above are you using or have used in the past and would recommend to others? Do you think any other service qualifies to be listed among the best free VPN services? We’ll be waiting for your responses, or any queries, in the comments below.